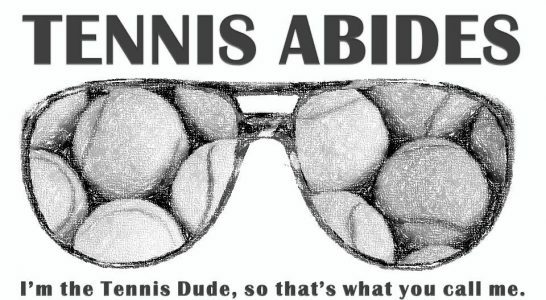 I have been inundated with non-tennis issues for the past several weeks. I need to dig out with some quick hits. Rafael Nadal’s titles in Barcelona and Madrid confirm his status as the favorite for Roland Garros. Rafa is not as invulnerable as he may have been entering the 2008 French Open, but his form is excellent and his confidence has to be high as well. Sascha Zverev won his first/only Masters 1000 shield in Rome. The youngster has power to spare and seems to learn from earlier encounters. I do not expect him to win Roland Garros, but a quarterfinal or further finish is quite possible. Novak Djokovic hired Andre Agassi as his coach for Roland Garros and presumably other big events in the future. I think this is a good hire for 3 reasons. I. The Placebo Effect is Real in Tennis (and elsewhere) – players tend to do well in the first stages of a new coaching team. II. Agassi’s game is the prototype of Djokovic’s game – Winning based on controlling court positioning and returning serve with authority is something Novak and Andre know well. I believe Novak’s speed and flexibility surpass what Andre’s game could do (and that IS saying something), but working with Agassi could be a back-to-basics fresh start III. Agassi knew how to pace his year and come back from rough patches. This is the biggest benefit of the super coach is that a player has the confidence that someone on his team knows what it is like to be down a break in the 4th set of a big match or knows what it is like to recover confidence after some tough losses. Agassi won a career Grand Slam playing a brand of tennis similar to that of Djokovic’s. Novak should have confidence in his team, and confidence helps on court. Agassi also won the 1999 French Open seemingly out of nowhere, but when he reached the 1999 Wimbledon final he looked to be at 1995 levels of fitness. Agassi knows how to target preparation for peaking at the right times. Petra Kvitova will be ready for Wimbledon. This is amazing news. The two-time Wimbledon champion is unlikely to contend in her first big event, but seeing her back on court after a horrific attack is welcome news for all tennis fans. Maria Sharapova will not be playing Roland Garros this year. Should a 2-time champion have received a wildcard to the qualifying? That is debatable. The answer is final though and sends a tough message. Sharapova’s return from PED exile has been rocky to say the least. The WTA and ITF would be far better off with more stars. Sharapova has been a star since 2004. Yet, it is not at all clear how to handle this specific case. From a rules standpoint, tournaments can do what they want and have done so. The PR side of this is the much harder problem to solve. The locker room is perhaps an even larger problem. Dominic Thiem’s play in Madrid and Rome shows that his clay court results have to be taken seriously. Djokovic dominated him after his win over Nadal, but if Thiem is healthy heading into Roland Garros, he has to be a name to circle in the draw. Behind Nadal and Djokovic, Thiem seems to be no worse than the third of fourth most likely champion depending on how one weighs Wawrinka’s 2015 experience? I’m really excited to see how far Thiem goes. I am super impressed! And Sascha Zverev is going to be another one to watch! Djokovic – dubious. Don’t know how much Agassi can contribute to his situation, but we’ll see. It’ll be exciting, though! Hope all is well On the personal front, weird watching atp without your analyses’ and previews.